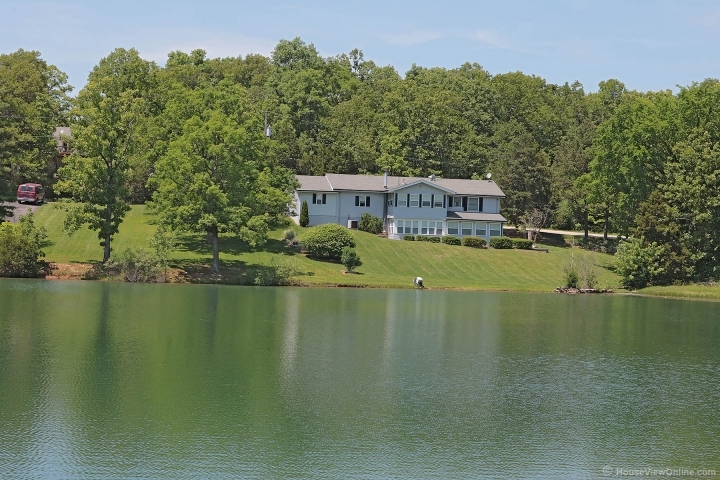 Perfect opportunity to have your own lake home! Vacation at home! This home sits on 2 lots that gently slope to the water. Enjoy life to it's fullest, swimming, fishing, paddle boating and more. The great lake home has 3 bedrooms on the main level and an enormous bedroom on the lower level that opens up to an enclosed room with hot tub. The main level has a nice living room, kitchen with lots of cabinets, separate dining that opens up to a large sun room. Enjoy the great view of the lake from either level. Call for a showing today!